Viknesh Vijayenthiran January 17, 2014 Comment Now! 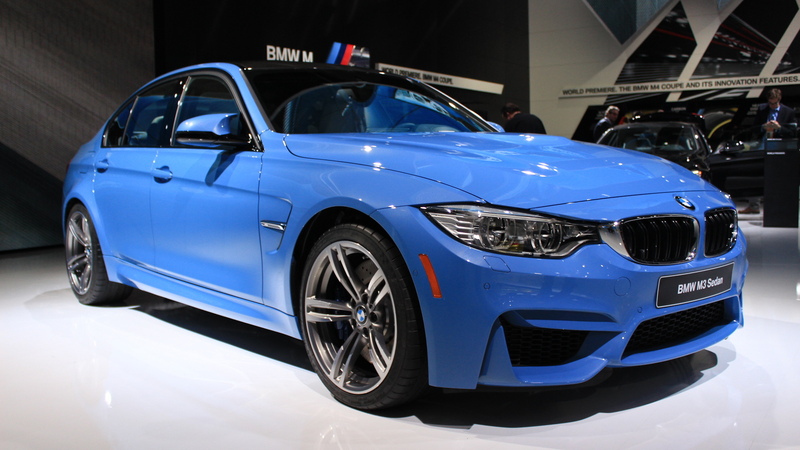 BMW’s new 2015 M3 and M4 have been some of the most talked about cars for the past several years, and now they’ve finally landed, having made their respective debuts this week at the 2014 Detroit Auto Show. 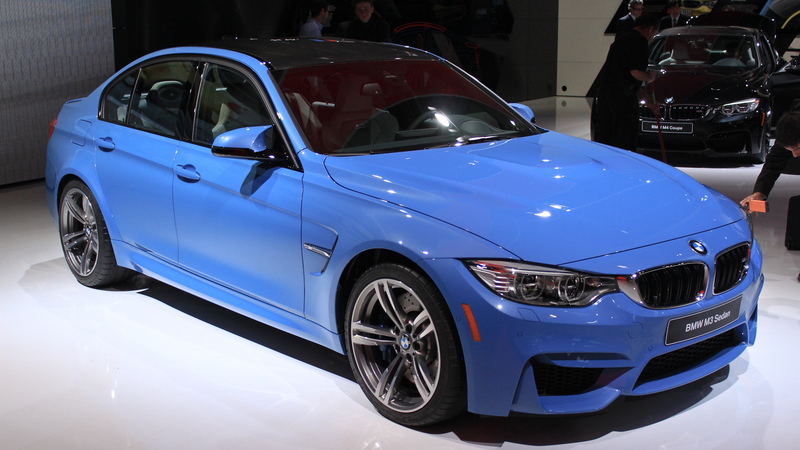 For those still in the dark, the M4 is essentially the replacement for the outgoing M3 Coupe. It’s picked up a 4 in its moniker as it’s based on the latest 4-Series model. 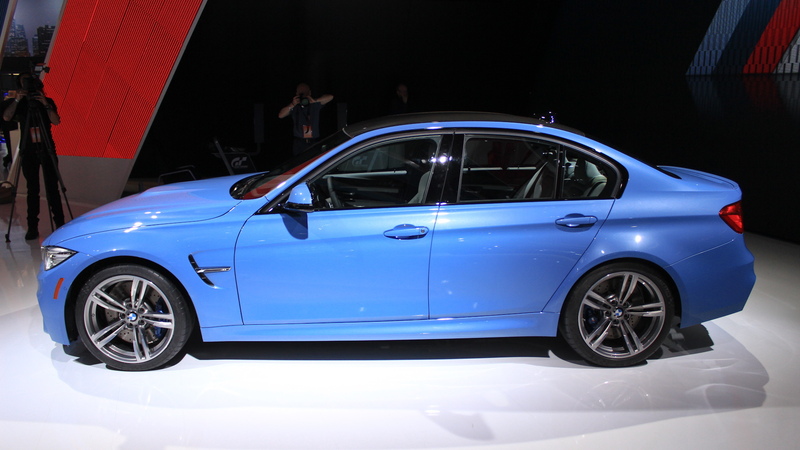 The M3, meanwhile, is now available exclusively as a sedan. Apart from one being a coupe and the other a sedan, the two cars are much the same. Both will come with a twin-turbocharged 3.0-liter straight-six engine delivering 425 horsepower and 406 pound-feet of torque. That’s only a slight increase in power over the outgoing M3’s 414-horsepower naturally-aspirated 4.0-liter V-8, but it is a significant leap in torque considering the old V-8 was delivering only around 295 pound-feet. The gains are apparent when you look at the quoted acceleration figures. 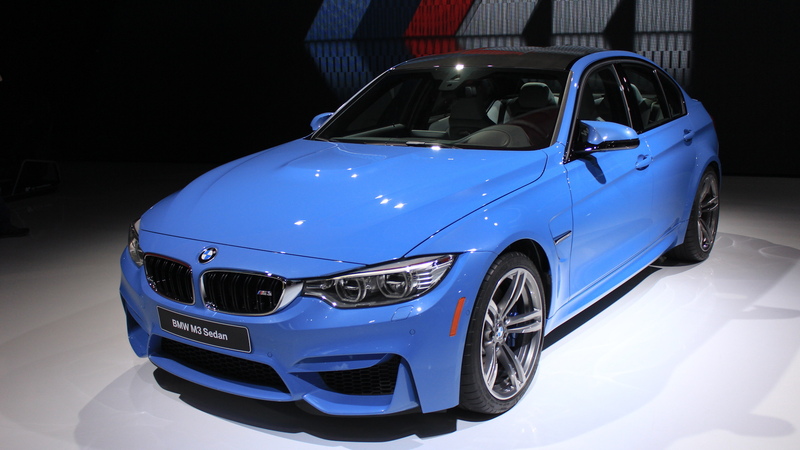 With either the standard six-speed manual or optional seven-speed M-DCT dual-clutch, you’re looking at 0-60 mph times of 4.0 seconds or less for either the M3 or M4. And BMW is typically quite conservative with its acceleration figures. Top speed of either car has been electronically limited to 155 mph. Performance in the cars is also improved significantly by weight savings. BMW says on comparably equipped models, the M3/M4 save about 176 pounds over the previous-generation M3 sedan and M3 Coupe. Most of the savings come from the use of lightweight materials for certain components, including aluminum and carbon fiber reinforced plastic. Both cars hit showrooms later this year, as 2015 models. We’ll be driving them closer to the sales launch, at which point we’ll be able to bring you our impressions as well as the all-important pricing information. 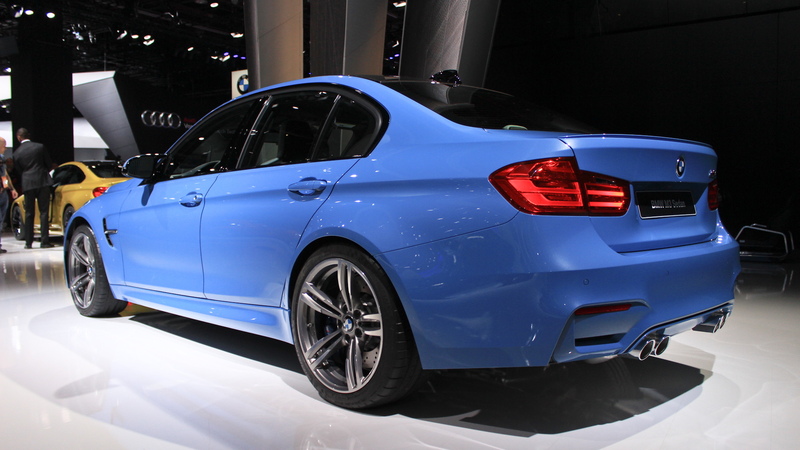 For more from the 2014 Detroit Auto Show, head straight to our dedicated hub. See more videos on our YouTube sites: The Car Connection, Motor Authority, and Green Car Reports. Mercedes-Benz Designs A... Golf Cart?